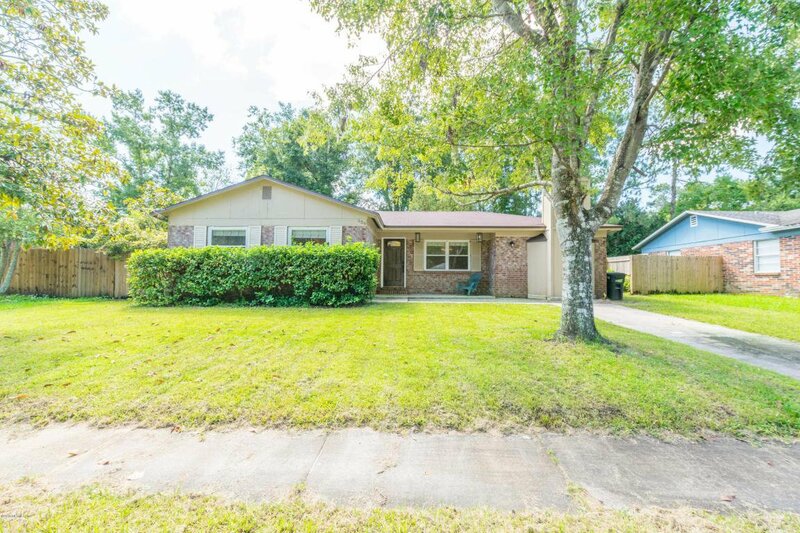 ALL BRICK family home with in-ground POOL located in Orange Park. 3BR/2BA, featuring tile and wood flooring with updated windows, 5-year old roof and cold A/C. Convenient walk-in laundry room. Washer/Dryer included. Enjoy a cozy fire in your wood burning fireplace in the large family room. Screened Patio and completely fenced in backyard. Pool needs some TLC. Almost new pool liner. Home is located close to shopping and restaurants.INCLUDES 1-yr Home Warranty!